This church sits on the western edge of the Llano Estacado in Eastern New Mexico (NM). I drive by it every time I travel to the beautiful Land of Enchantment. It is a lone sentential of Neo-Classical architecture that has long since been abandoned. Back in 2012, I walked just south of the church to photograph its lasting glory against the backdrop of its surrounding landscape of the plains and mesas. This church was a Presbyterian Church built in 1908. It was officially finished on December 22, 1908. The building cost was estimated at around $250.00. A significant feature of the church involved its lighting method that was provided by a pressure system that pumped kerosene to the lamps. When parishioners left the church at night the lights would still be burning giving an eternal glow to its surroundings until the pressure dropped. Remarkably, there were no pews in the church, only cane bottom chairs. The lingering drought finally took its toll on the little church as it did with many small towns and it was disbanded in 1936. The strongest men were humbled when they entered through its doors…. The little church that watches over Taiban on the Plains. 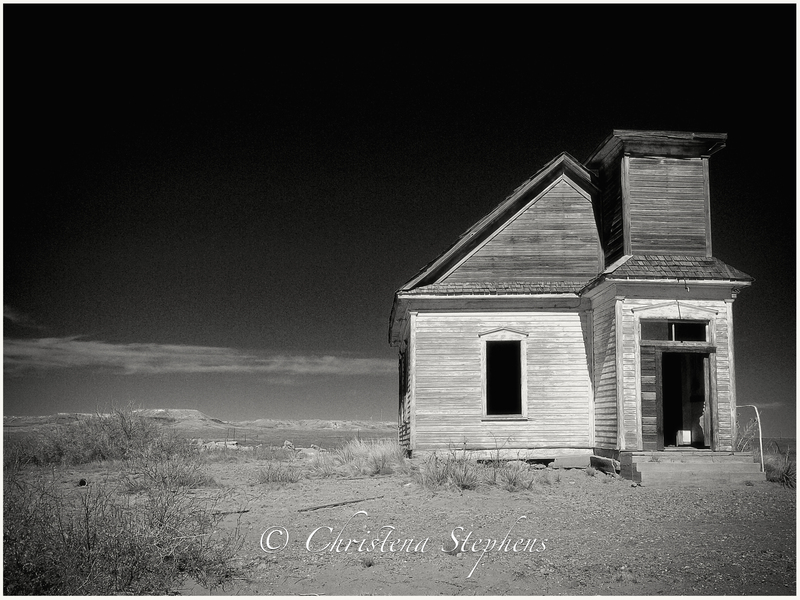 This image can be purchased by visiting: https://www.etsy.com/listing/125326099/lonely-plains-church?